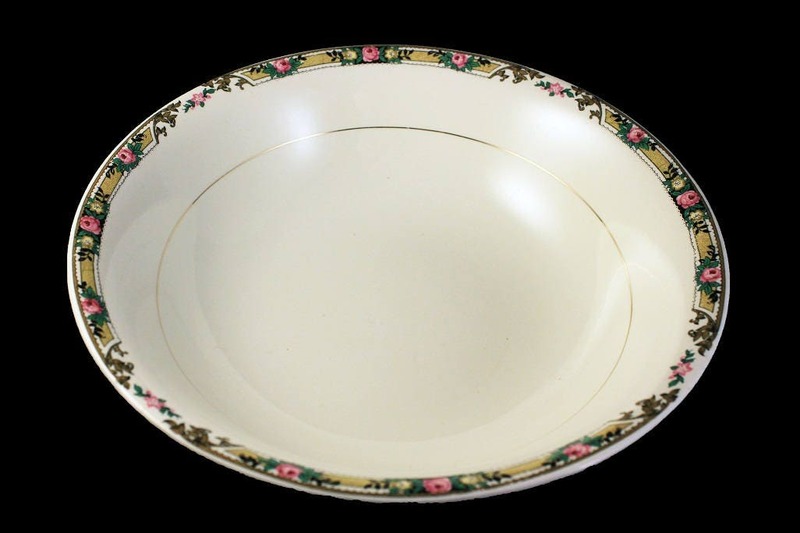 A beautiful vegetable bowl from Mount Clemens China and made in USA. 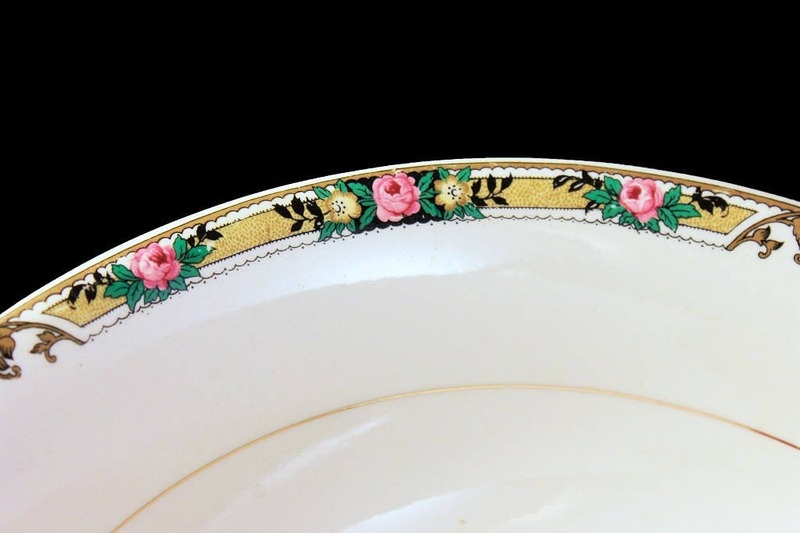 The pattern is pink roses in a band around the rim with gold trim on the verge. 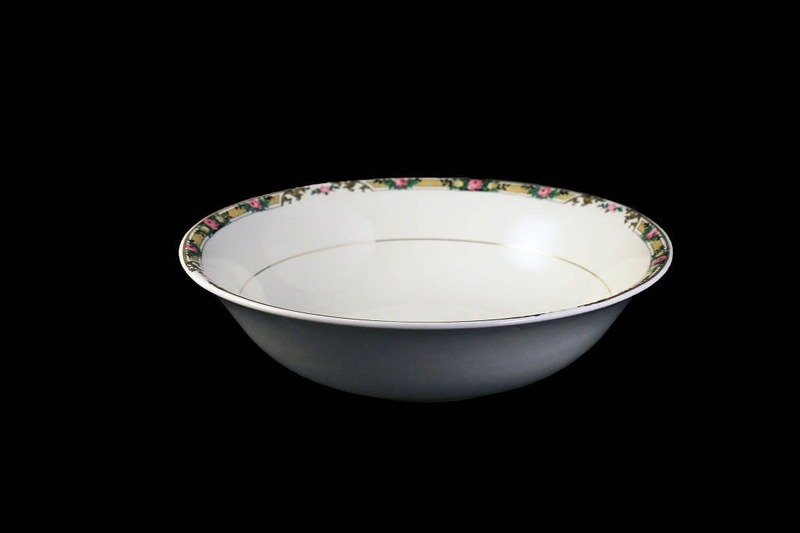 This is a gorgeous bowl dating from the 1930s. What a wonderful statement this will make on your table, buffet, or sideboard. 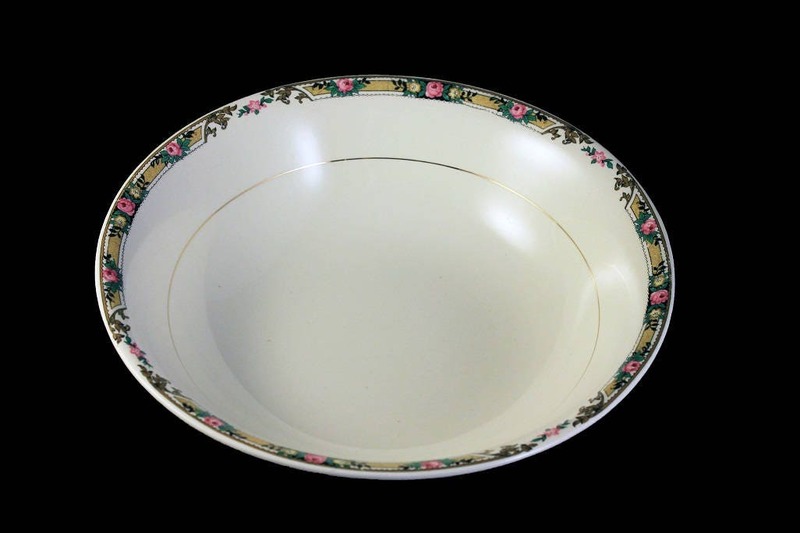 This vegetable bowl is in excellent condition. There are no chips, cracks, or crazing. 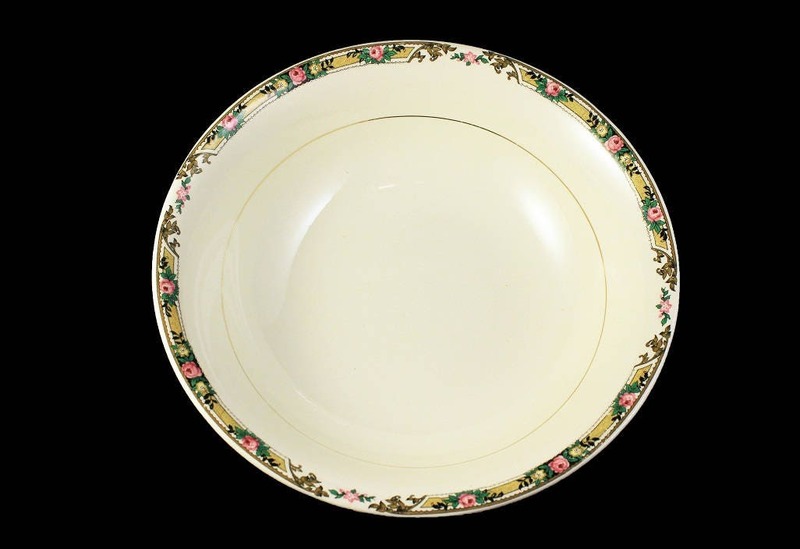 There are some utensil marks and wear to the gold which is normal for older china. 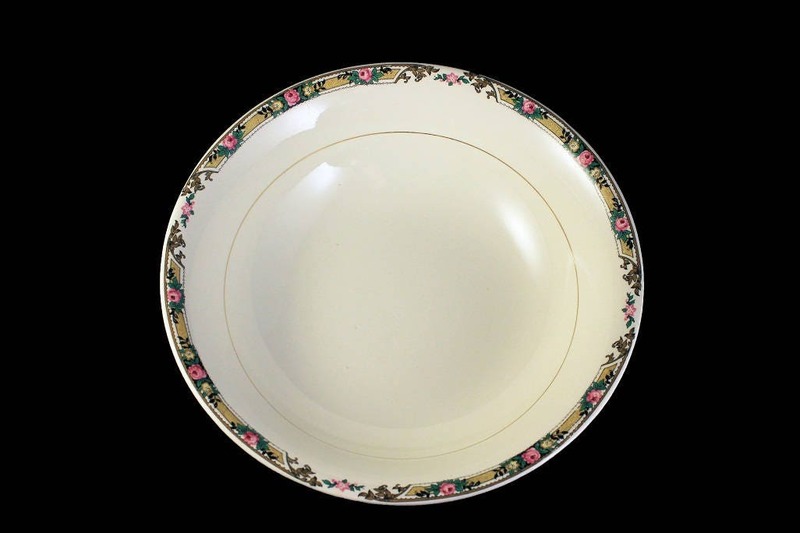 A great gift for a housewarming, wedding, holiday, or special occasion.